The Dominican Health Ministry has has the Dominican shipping company Casa Chepe SRL recall 14,000 metric tons of sugar that had been inported and distributed in the Dominican Republic since July 2012. The sugar has been found to contain various impurities including sand and cellulos fibers. 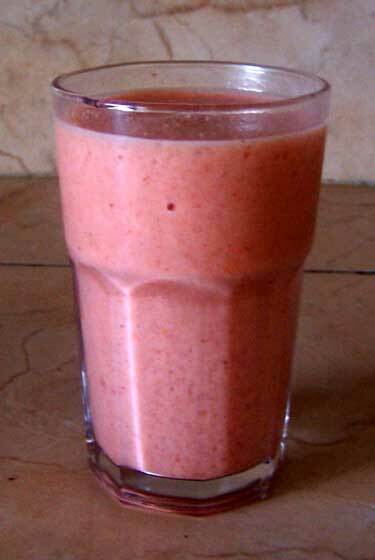 It occured to me that just about any fruit tastes most delicous as a smoothy. Lets try it! I was visiting a friend who was about to have a gathering of about 20 people at her house. What would we have for la cena (dinner)? With a limited budget and a few mouths to feed, she decided on Dominican hot chocolate and bread. Normally I believe this would be something that would be eaten for breakfast here, but it worked out just fine for our gathering of fun and games and a little something yummy. I watched intently to see how this chocolate was to be made. I had in mind that it would taste like Mexican hot chocolate, which is a little more bitter tasting and not much to my liking, but this chocolate was MUCH different, and most delicious! 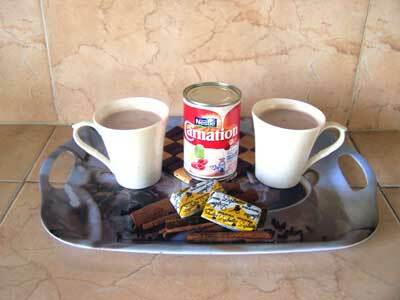 This hot chocolate will fill the air with the warm aromas of cinnamon and cloves and of course, chocolate. The Las Americas International Airport in Santo Domingo has a new American Food Restaurant. Denny’s is one of the largest family restaurant chains in the United States and at least one can be found in most of the larger towns in California. We’re starting to see mangos at the fruit stands again. There are several varieties that can be found in the Dominican Republic. I pretty much like them all but in particular there are some larger ones that often are sold by the pound that are my favorite. These can be easily sliced like filets so you don’t get the strings stuck in your teeth. Boruga de Leche Sounds exotic doesn’t it! My son and I were given a new taste treat today. On our way home with a Dominican friend we stopped by a store on the side of the road and he bought us one of his favorite “juices” – Boruga de Leche. To give you a hint Leche means milk. We brought a bit back for my wife and younger son to try. The vote. My wife – a pretty resounding never again. My older son and I gave it a middle of the ground, not bad and might buy it again, My youngest son said the taste was fine but the texture (kind of a slimy, lumpy drink), didn’t quite do it for him. If you going learn how to cook Dominican style, arepitas are a recipe you can’t go without. 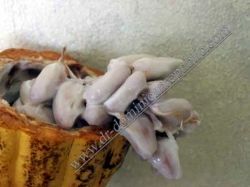 They are usually not eaten as commonly as rice and beans, but they are definitely essential to the Dominican diet. 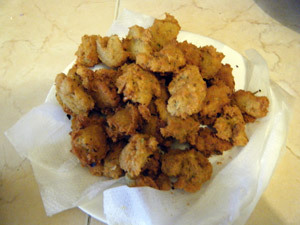 Dominican Arepitas – You will be hard pressed to find someone that doesn’t like these little deep fried yucca balls. And as long as you are pay attention they are pretty hard to mess up.